The age at which a child receives his or her first smartphone is getting younger and younger. Nearly 60 percent of kids ages 8 to 12 have given their children cell phones, according to a 2012 report by the National Consumer League. 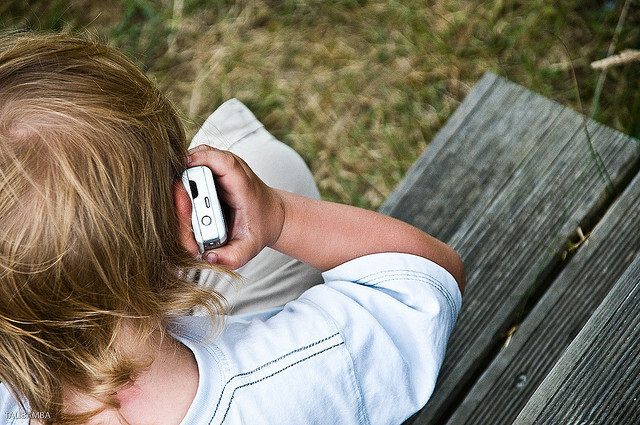 You probably already know whether your child is mature enough to handle a cell phone. If he generally respects your rules and limits, he will likely be respectful of expensive toys and equipment. Head off any confusion by establishing upfront restrictions around your child’s cell phone usage, including screen time limits, which apps she can use and the consequences for a lost or damaged device. Phones for kids are great in case of an emergency at school, but keeping them off and out of reach may make her a better student. You might also consider whether you want to take away the phone at bedtime: A recent study in Pediatrics found that children that slept with their phones got less sleep than their peers who didn’t. Experts recommend explicitly writing out these rules in contract for both the parent and child to sign. Even the most well-meaning kids get butter fingers once in a while. Buy a sturdy case to prevent damages from drops. For older kids, you may also want to download apps like My Mobile Watchdog or TeenSafe, which lets you see what your kids are doing with their phone and monitor, block and filter inappropriate content. Teach your child proper cell phone etiquette by demonstrating the habits you hope he’ll emulate. If you don’t want him texting at the dinner table, leave your phone on the counter when you sit down to eat. Plan on that first smartphone getting broken or lost, and use that as a teachable moment for your child. But given that likelihood, you should be as cost efficient as possible when purchasing phones for kids. Buying a used or refurbished smartphone can keep costs down and allow you to purchase a smartphone without contract restrictions. That gives you some wiggle room to find the best plan (think lots of texting) for your child. What did you do to prepare your child for his or her first smartphone?